We had quite a bit of broccoli in our garden, especially after the first frost…my son froze it in several gallon freezer bags. We wanted to do something besides the typical stir-fry or steam/boil… so this is what we came up with. The amounts are really just what we had on hand and what looked good, so feel free to experiment. My son added the Cajun seasoning and we find that we like it! Putting lots of thin sliced onions in the mix gives this a delicious treat. Steam the frozen broccoli until it is thawed and slightly done. If using fresh, steam for 5-6 minutes. Drain and rinse in cool water. Heat Olive Oil in large pan and saute the onions, garlic, and red pepper a couple minutes until onions are starting to go limp. Add the drained broccoli and continue cooking until done. Season with sea salt and the Cajun seasoning. 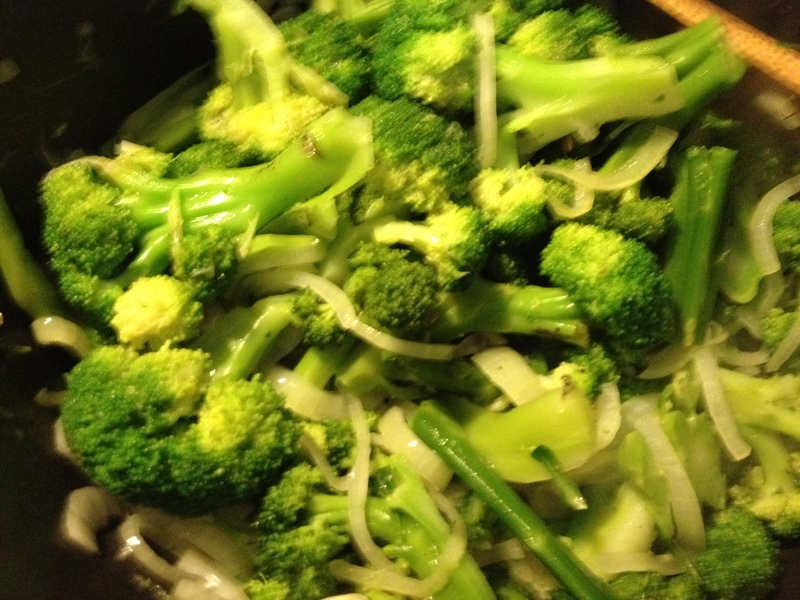 This entry was posted in food, vegetable and tagged broccoli, cajun, stir fry. Bookmark the permalink. This is the way I enjoy broccoli as well. Sometimes I will add a little breadcrumb topping. Thanks for the comment…. the breadcrumb (or maybe Panko?) sounds good… will need to try that.